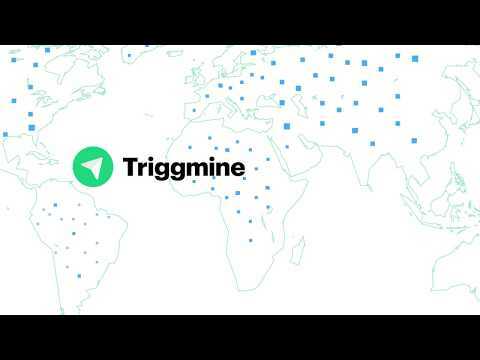 Triggmine is a decentralized platform for marketing automation. It is aimed to eliminate the main paint points for small and medium-sized businesses in eCommerce - lack of expertise and lack of resources. Triggmine creates a new generation of marketing with the self-adjustable intelligent system and payment for real user action. On the top of the platform there is an AI-powered personal assistant that helps businesses perform better with no manual intervention. Nice project, I believe that blockchain could really be a plus with it! This ICO, under Estonian jurisdiction, looks to be providing a useful solution to small ecommerce businesses wanting access to big data and AI in their mailing communication. Triggmine offers decentralised marketing automation at a level only usually affordable to the large corporates. Another thing that makes this different to other services is that small businesses will be charged based on the success of their marketing communication, rather than a monthly fee. This could be a blessing to cash-strapped firms and of course a great way for the platform to grow as people are attracted to a low-risk option. An additional bonus is that Triggmine supports many ecommerce platforms including Magento and Shopify. The team has a track record with Unisender, available in Russian and English. A bounty scheme is in place and the Medium blogs are very engaging. The team is young yet extremely well qualified as is so often the case with Eastern Block tech companies. This ICO is clearly modest in their fundraising as their minimum cap is just 3,000 ETH. This is refreshing and realistic. My only nervousness is around the logo which looks identical to the Telegram 'on- screen' button logo, except with a green background instead of blue. If Triggmine is going to be a great success, it may need to protect itself from the potential retaliation of IP lawyers. The team ideally needs to be more international. Hardcap should not be diffcult to achieve in today's market. Product should be easy to deliver, especially with the inbuilt AI technology. This product will have wide market acceptance, but will need to bring the product out to the world... Next is to conquer the world! Software Developer, Business Development & Blockchain Evangelist. I really love the vision behind this project. Very much needed. I always sometimes question the weight of a vision versus the team's ability to deliver on their vision. This looks like a good team but only time will tell.